Can the new S40 platform help Nokia turn it around? It looks like Nokia is still banging the drum for its S40 mobile platform, as photos of a new handset and user interface have appeared. The Nokia 311 is set to run the most used mobile phone OS in the world, which appears on hundreds of millions of mid-range Nokia feature phones. Obviously not content with sticking solely with its Windows Phone venture, the leaked images of the slightly chunky 311 are accompanied by a cartoon style instruction manual for Nokia's new, full-touch version of its S40 user interface. The simple illustrations in the manual show a home screen and app tray which hark back to the ill-fated MeeGo platform, which only really managed to make it on the Nokia N9 before being confined to the mobile graveyard. We also see references of pinch to zoom multi-touch gestures and a pull down notifications bar, a la Android. The Nokia 311 is likely to appear at the budget end of the market, with reports suggesting it will sport a 3.2MP camera, and it will need to carry a rock-bottom price tag if it wants to tempt users away from the well-known smartphone systems. 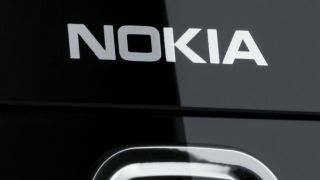 Are you tempted by this new venture from Nokia, or is the Finnish firm just throwing money down the drain? Let us know your thoughts in the comment box below.